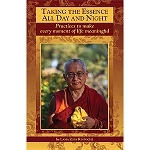 During the Light of the Path teachings in September 2009, Lama Zopa Rinpoche carefully explained a number of precise methods to make every action of our life more meaningful. 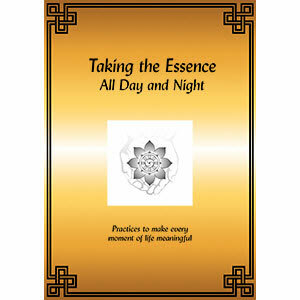 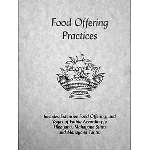 This revised and expanded PDF version of Taking the Essence now includes the very important Motivations for Life that Rinpoche advised to be alternated daily, the Yogas of Eating Food according to Hinayana, Mahayana Sutra, and Mahayana Tantra, and Mindfulness of Tong-len in addition to the practices of the original version: Mantras for the Morning, Bodhichitta Mindfulness, Taking the Eight Mahayana Precepts, the Yoga of Offering Food, Guru Yoga Bathing Practice, and Sleeping Yoga. 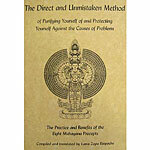 This is a must-have for all Mahayana practitioners to turn your life into gold!